The second release on Soulkraft finds label boss Sonderzug stepping back into the spotlight with a brand new EP. The Austrian artist launched the label with much success having the first release reach #3 in Beatport’s Progressive House charts. Now looking to continue that momentum we see a brand new 2 track EP from the man himself entitled ‘You Never Know’. 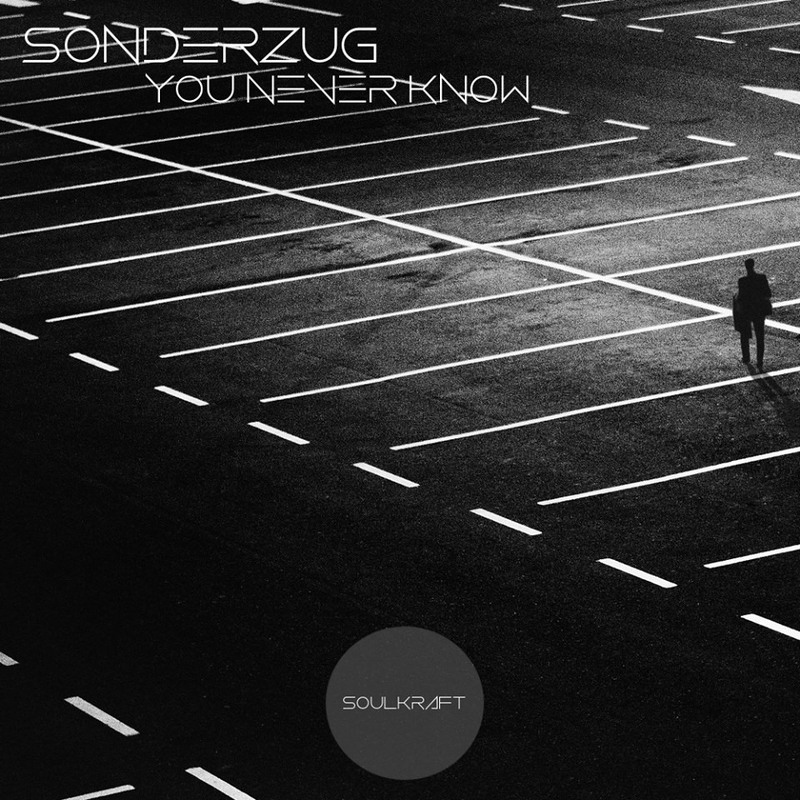 The release begins with its title and showcase piece ‘You Never Know’ which finds Sonderzug exploring the darker realms of progressive music. Broken beats and heavy synths get the track underway with an enormous presence before a short break brings the first lead motif. Melodious and metallic in all the right ways it builds to a feverous pitch as the beats drop once more amidst a bassy rumble. Haunting vocal elements add a gorgeous new dimension, trailing through to the main break before one final build and a monstrous third act finale. Huge track from Sonderzug. The companion piece ‘Real Eyes’ comes in a touch more spacey and less aggressive which proves to be the perfect complement to ‘You Never Know’. The production is again immaculate with perfectly sculpted beats and electric designs leading the way. Poignant keys play a huge role in building the emotive core of the track, carrying nicely into the main break where they become all the more powerful. Short and tastefully executed the tracks second act transitions the piece with ease into a lovely finale. The running time here is quite short which is also a refreshing change, the track accomplishes a lot in just over five minutes and your dance floor will certainly appreciate that. Two gorgeous productions from Sonderzug and a killer second release for his Soulkraft imprint. Don’t miss it.